Microsoft announced on Wednesday the "Ubuntu on Windows" to bring Linux command line tool Bash to Windows 10 Operating System in its Microsoft's annual developer conference. Both Microsoft and Canonical has partnered together to allow Bash on Windows 10 natively without any containers and Virtualization. Although this has been done from a long time from third party tools like Cygwin, it has its own limitations and providing a native support for Bash command line to Windows 10 is a step to invite outside developers. 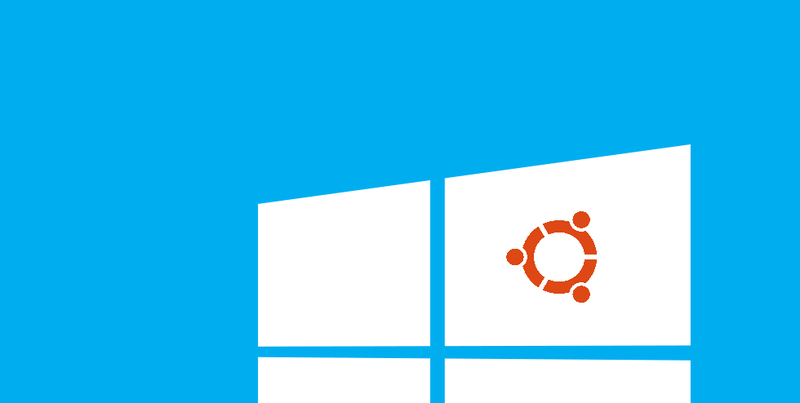 The "Ubuntu on Windows" will be available as an Upgrade later this year for Windows 10 user. This comes as a surprize for Open Source world, since Microsoft has always confined itself within "propretory" limitations and a partnership with Canonical was something highly unexpected. Bash i.e. Bourne Again SHell, is an open source unix shell and command line interpreter for the GNU operating systems. Microsoft in its blog said that the "Ubuntu on Windows" is an attempt to make working with open source tools on Windows easier. SO, they has decided to provide the native support for Bash which run directly on Windows in an environment that behaves like Linux. Once it will be released, developers/users will be able to run Bash scripts, Linux command line tools like sed, awk, grep and can even try Linux-first tools like Ruby, Git, Python directly on Windows. Accessing your Windows filesystem within Bash will be easier. However, it wont support Windows Application interaction so you might not able to open a Windows app say Notepad from Bash. One a lighter note, this may remind you of something opposite to "Wine for Linux". Mark Shuttleworth, founder of Canonical addressed it as something that was unpredicted. In our journey to bring free software to the widest possible audience, this is not a moment we could have predicted. Nevertheless, we are delighted to stand behind Ubuntu for Windows, committed to addressing the needs of Windows developers exploring Linux in this amazing new way, and are excited at the possibilities heralded by this unexpected turn of events. Microsoft wil release it first to the Insiders and then susequently for all Windows 10 users. WHat do you think, is it something that will benefit both Microsoft and Linux?